Colorado Nonprofit Association exists to strengthen nonprofits. Every day we educate and inform Colorado nonprofits about new ideas, best practices and pressing public policies so they can achieve greater impact on Colorado communities. We work to ensure Colorado has the nation's most effective, vibrant and innovative nonprofit community essential to the quality of life in our state. View our 2020 Strategic Plan. 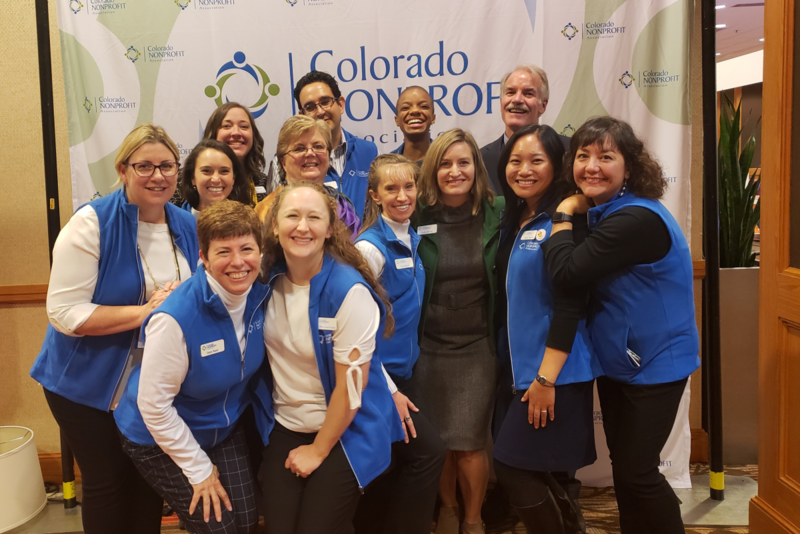 Colorado Nonprofit Association was established in 1986 by a group of nonprofit leaders, to serve as the voice of the nonprofit community and to encourage information exchange among nonprofits. Our member services evolved as demand grew for administrative and insurance services. Colorado Nonprofit Association’s public policy role expanded in the late 1990s when we became a major influence in the defeat of a property tax amendment that would have been harmful to nonprofits in Colorado. We continue to enhance and add to our programs and services as the nonprofit sector changes. Today Colorado Nonprofit Association’s role has grown even more important as there are more than 20,000 charitable nonprofits in our state representing six percent of our state’s economy. Nonprofits need a strong advocate, not only at the legislative level, but also at the grassroots support level. Based on the average individual giving to nonprofits in Colorado, we are needed more than ever to help raise awareness of and support for all of our nonprofits that are key to keeping Colorado economically strong and culturally robust. View Colorado Nonprofit Association's bylaws. Hub International is Colorado Nonprofit Association’s exclusive insurance broker. Hub serves all nonprofits and Colorado Nonprofit Association strongly recommends our members consult Hub for your insurance needs. Hub offers a wide range of competitive insurance packages tailored to meet the unique needs of your nonprofit, including property and casualty, directors and officers, workers compensation and employee health benefits. Visit the website for more information and to request a quote.